How the leaf is manufactured begins with plucking. Picking the tea continues all year round, though different regions produce their best teas at different times of the year due to the climatic variations associated with them. The pluckers, mostly women, restrict themselves to the two tenderest leaves and the ‘bud’ that grow at the very top of every stem. Coarser picking results in poor-quality tea. 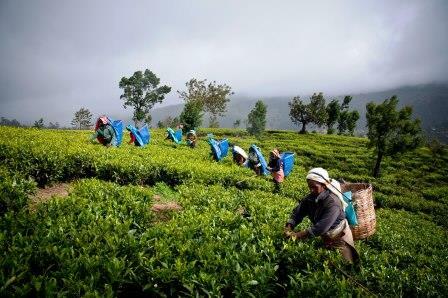 Organic tea production with different recipes and blends require plucking at specific times of the year. 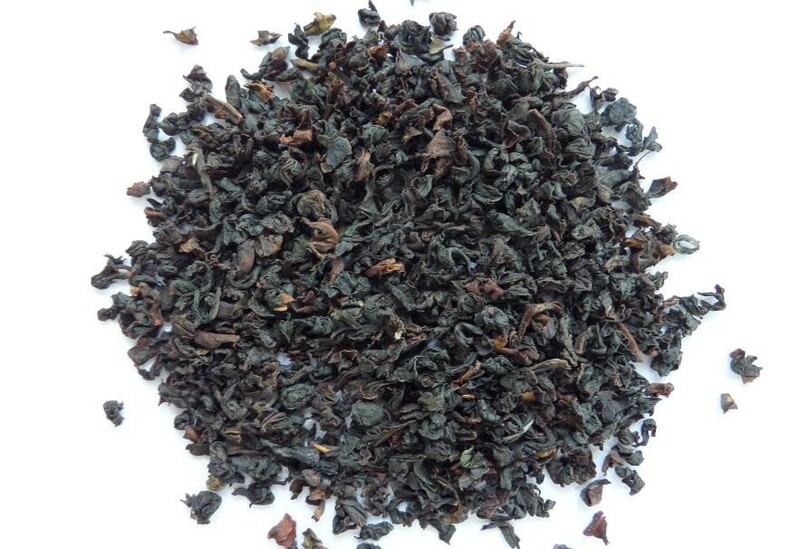 Both black and green teas are withered. 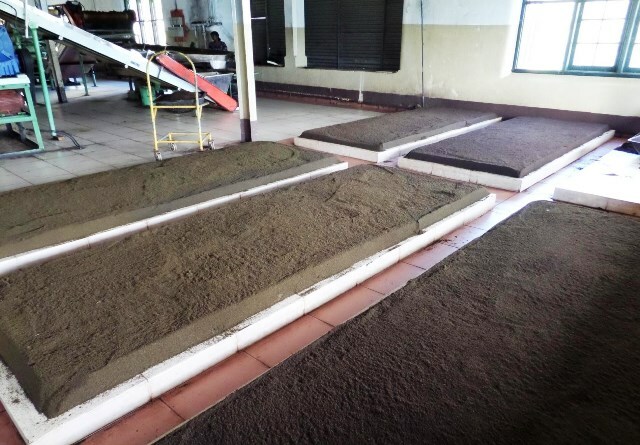 However, green tea spends a much shorter time on the drying tables than does tea designated for the black recipes. 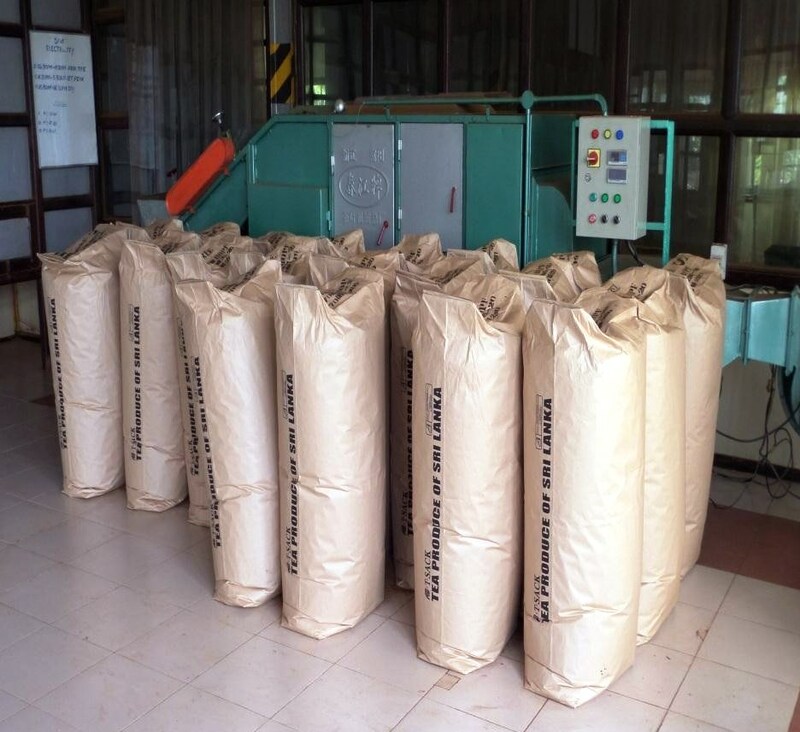 For black tea, the drying process creates a more elastic leaf that facilitates rolling and shaping. Ambient air is preferred, but it is not always dry or hot enough. Forced air is moved both horizontally and vertically and in reverse to maintain a consistent ambient air temperature and humidity around the leaves on the racks. The thickness of leaves on the racks is also adjusted based upon the recipe. Leaves may also be mixed from the bottom to the top. Typically the drying air is maintained at 35 Celsius or 95 Fahrenheit. 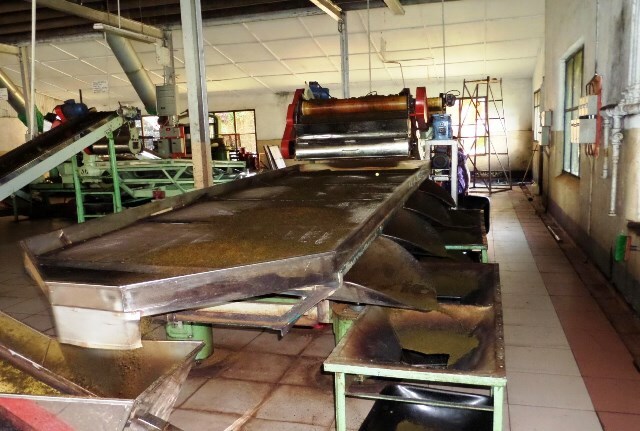 Oxidation is the key to how the tea is manufactured. Dead plants and animals, when exposed to atmospheric oxygen, begin an enzymatic breakdown of cellular tissue (oxidation). Living plants and animals keep these enzymes (catalysts), in check during the organism’s life. 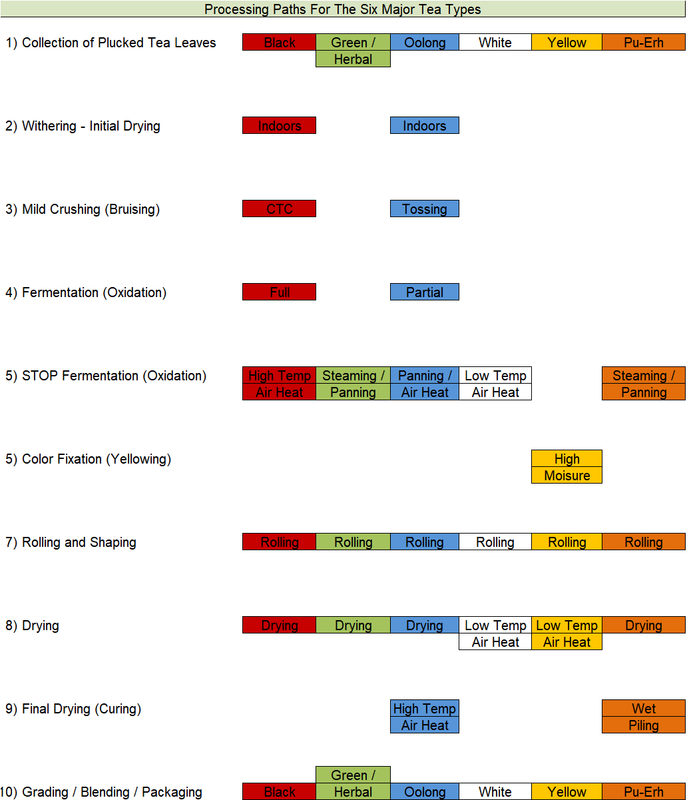 Controlling the rate of tea leaf oxidation is critical in tea manufacturing. 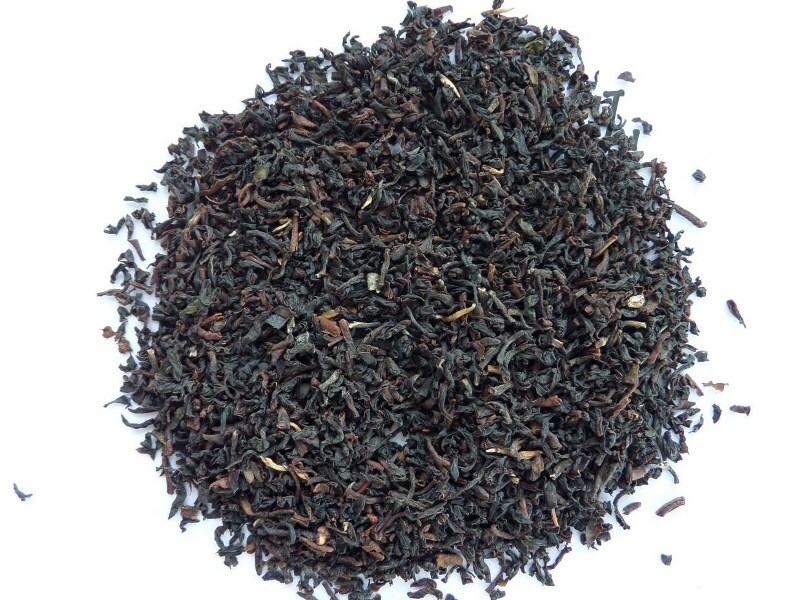 Low heat and high humidity accelerate oxidation, think of fruit rotting on the ground in the tropics, this is also the essence of black tea. High heat, and separating the leaf material from atmospheric oxygen with steam and water, destroys the enzymes, thereby slowing the oxidation process, this is the basis of processing green tea. 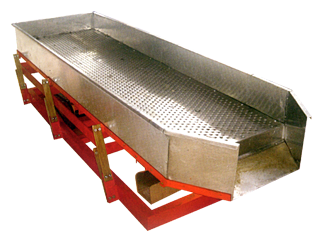 Foreign bodies like metal, stones, large stalks and wood are removed to prevent damage to processing machines. Sifting creates an even flow of loose leaves. 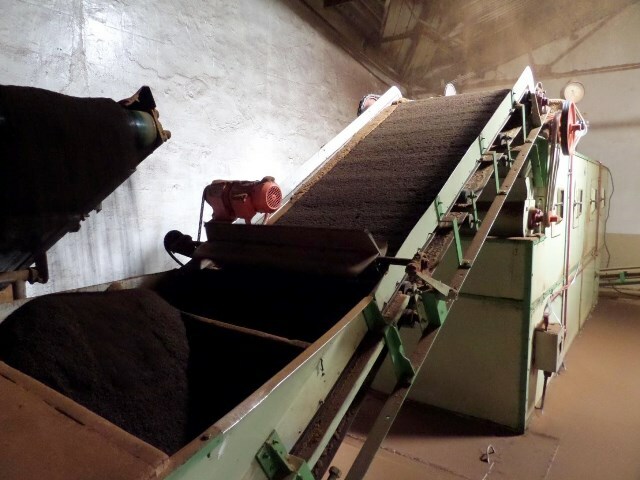 The machine vibrates in such as way as the leaves hop down the trough with foreign debris dropping from the flow. Powerful magnets grab metal debris. Good leaves enter the next machine called the Shredder. Shredding of the withered leaf into fine particles increases the Rotorvane capacity and prevents breakdowns. The macerated leaf from the shredder has to be in the form of "chutney" called dhrool. 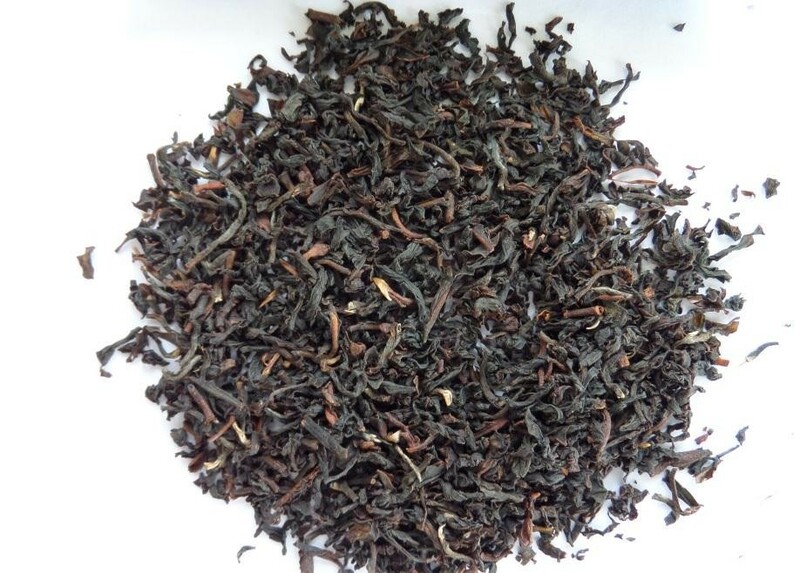 The Rotorvane forces tea through its cylinder of cutting heads cross-cutting the tea leaves while also distorting the leaves. The machine acts like another sifter and breaks apart clumped leaves while cooling the dhrool to below 35 Celsius 95 Fahrenheit. 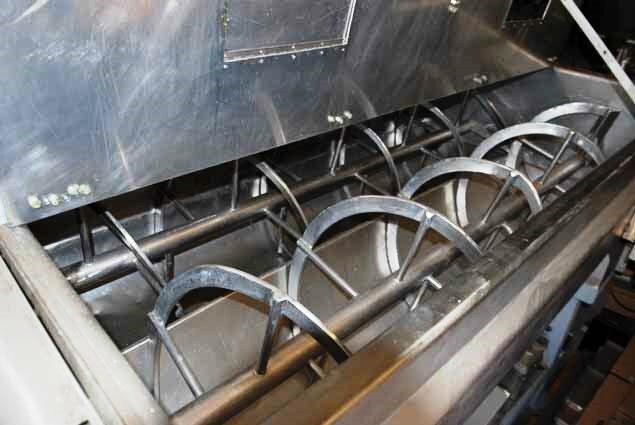 After preconditioning, the leaf is passed through four or five CTC machines arranged in tandem. 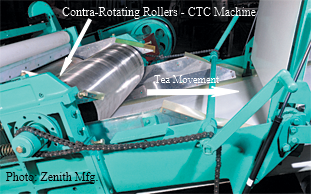 The CTC machine essentially consists of two contra-rotating toothed rollers of equal diameters. As this machine aptly describes, it crushes leaves, it tears leaves and it curls and forms the leaves. 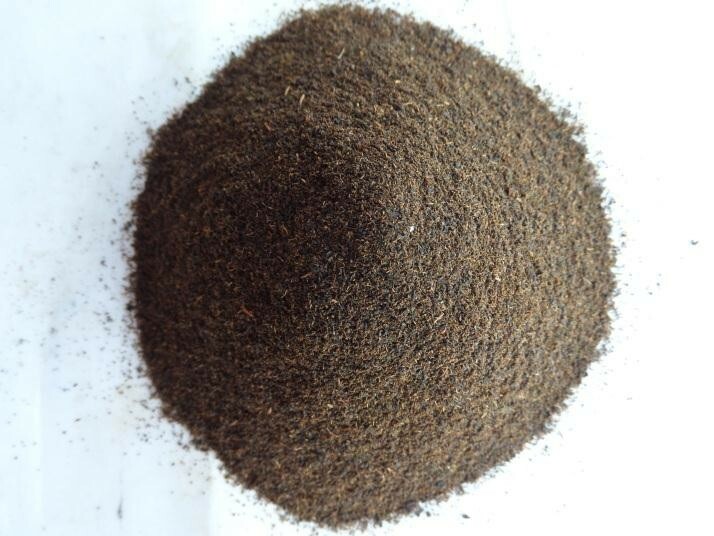 Proteins, enzymes called polyphenol oxidase and peroxidase, react with polyphenols to form theaflavins (tea flavor) and thearubigins (tea color and depth) which give the black tea its taste, color, and aroma. 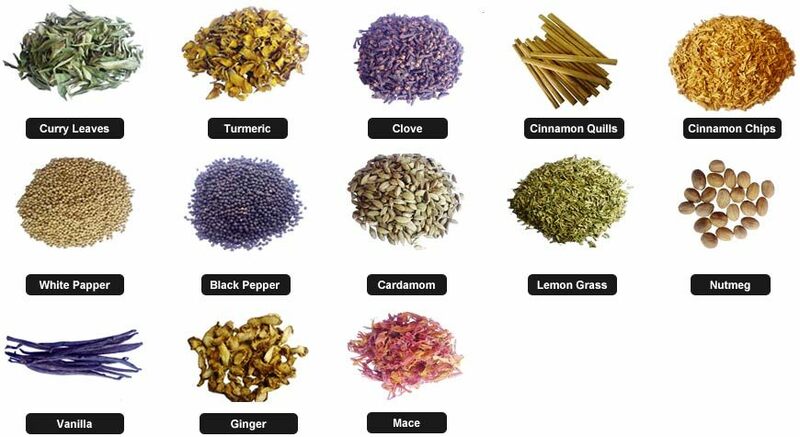 The sugars in the tea leaf also begin reacting with these compounds to add more distinctive flavor. Cleanliness is mandatory here as bacteria can quickly produce in such a moist environment. 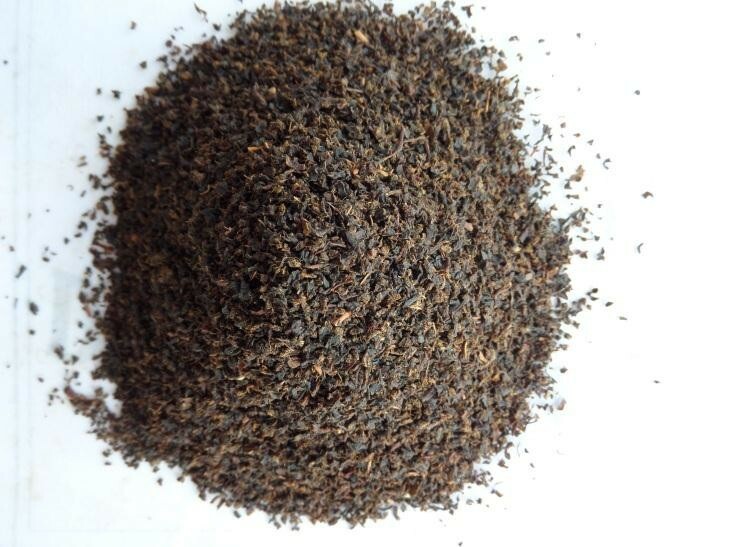 The tea master is critical as to how the tea is manufactured, as the characteristics of incoming tea vary. He must rely on touch, smell, and sight. 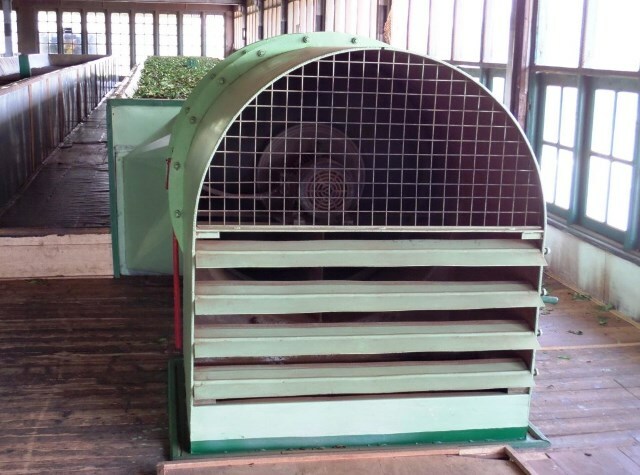 Processed leaves generate heat quickly, and the tea master must maintain an ambient temperature of 29 Celsius / 85 Fahrenheit with 95% relative humidity. When the master determines the dhrool is appropriate for the specific blend, the dhrool is sent to (Firing) drying to stop the oxidation process. 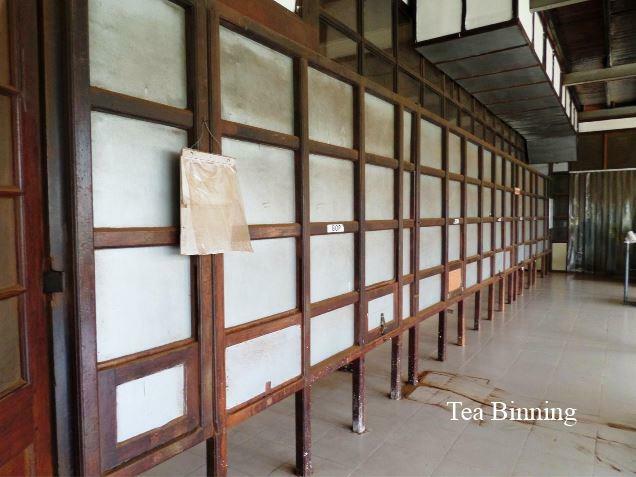 The drying process arrests fermentation and reduces the moisture content in the fermented tea from 55-60% to 2-3%. 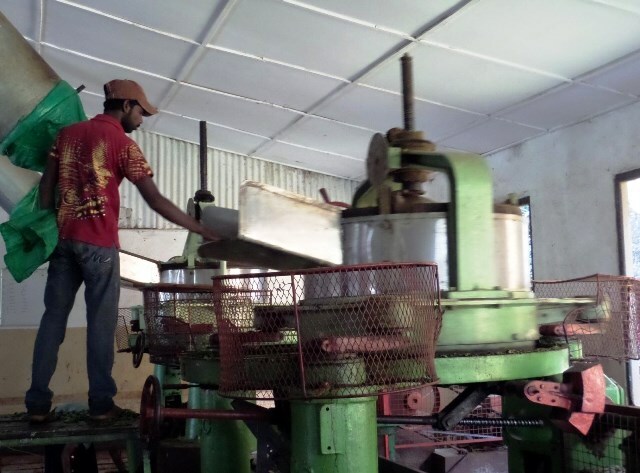 The tea master's experience comes into play again as to how the tea is manufactured. Too long a drying time is detrimental to quality & flavour. Too short a drying time results in thin liquor. Too high a temperature results in bitter tea. 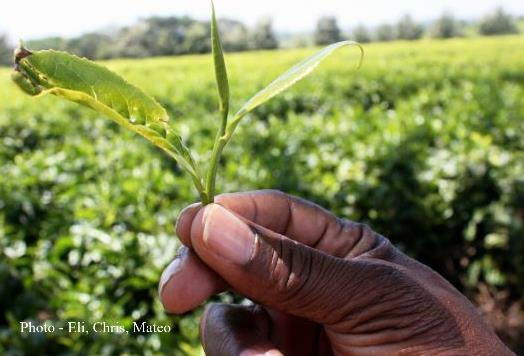 Organic tea production is art, science and experience. 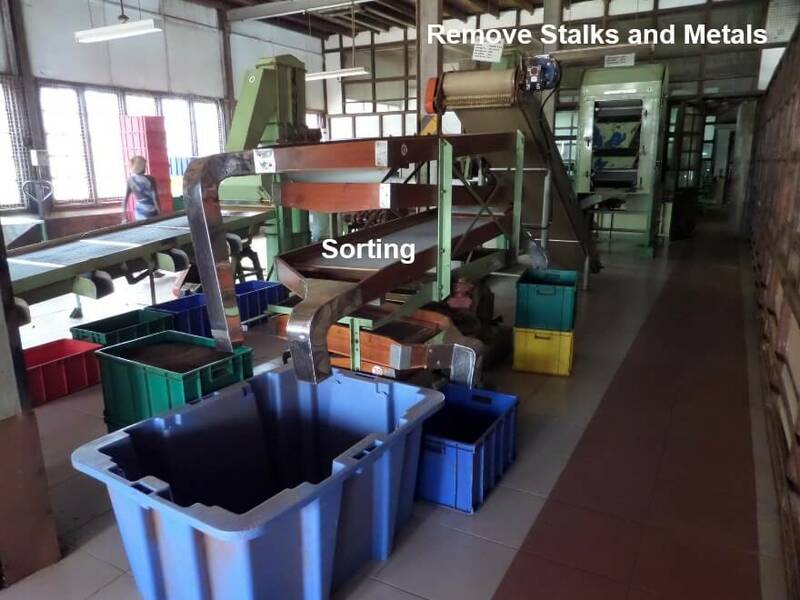 Sorting is to remove the fibre from the bulk tea and separate the tea particles into various shapes and sizes relevant to trade requirements. Sorting enhances the appearances and quality of the liquor. 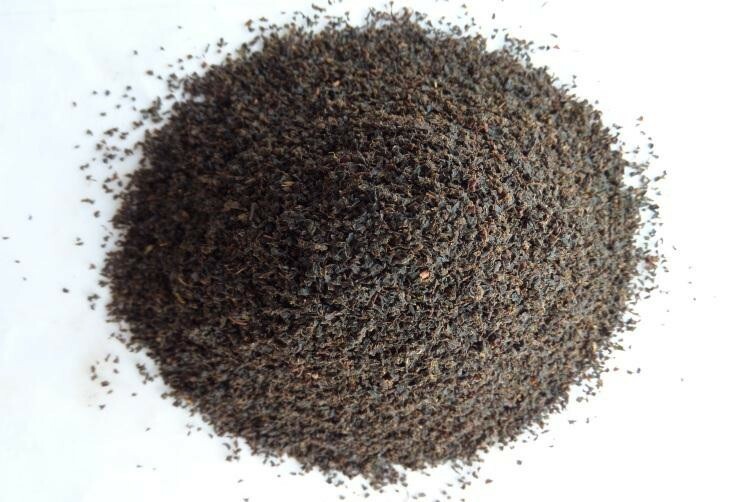 Flakes of coarse leaf in the primary grade can be separated to avoid harshness. Use of stainless steel meshes is desirable for good sorting. Meshes should always be tight; loose meshes cause loss of bloom and uneven grading. 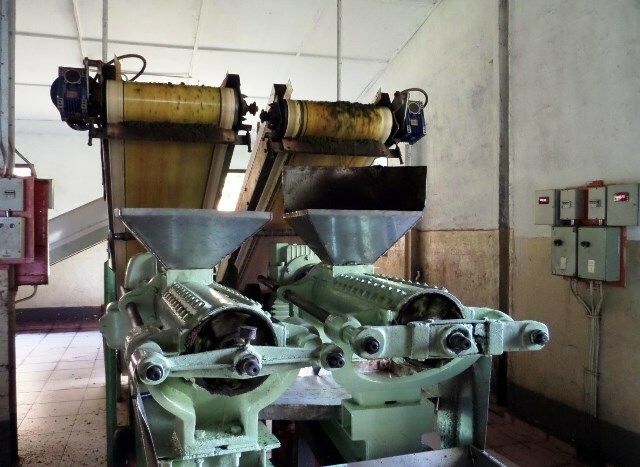 With a typical blending machine, organic fruits, spices, oils, and herbs are blended with both black and green teas. All but our plain green teas are unique blends developed exclusively for Embassy House. 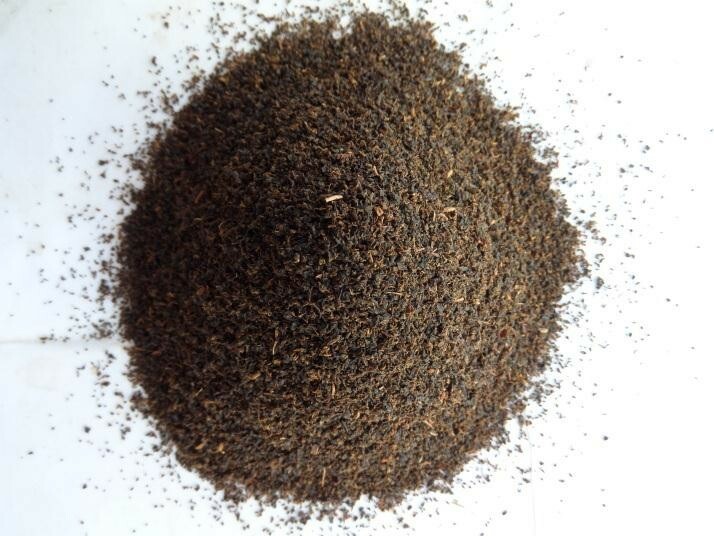 Assam Organic Tea - Herbs and Spices Used For Blending. Click Picture for Details. 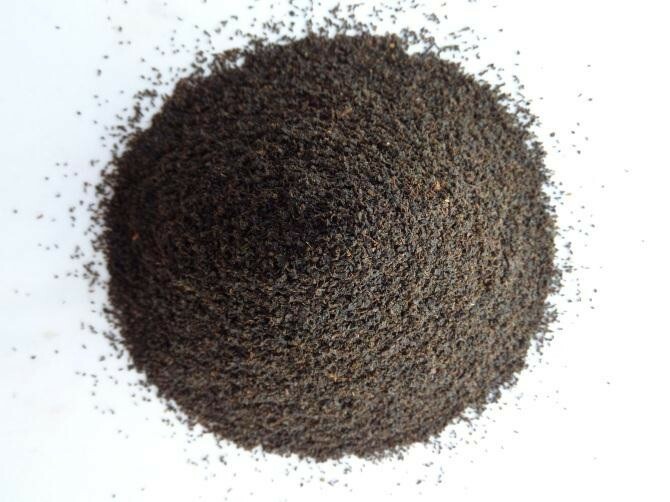 Black tea, being a hygroscopic material, picks up moisture from the atmosphere, if packing is not proper. 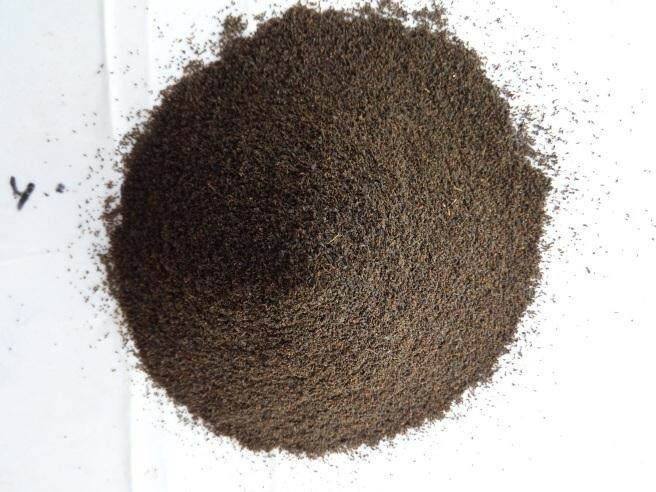 Three percent (3%) moisture level is advisable when packed – if the moisture content of tea reaches 6% the keeping quality is impaired. Tea should not be stored in an open condition. Use of bins for storage of the finished product is essential. Tea should be cooled to ambient temperature before taken to bins. Tea can be passed under powerful magnet grills to ensure iron free while packing.